Daytona Bike Week is finally here, which means that more than half-a-million bikers and their friends, families, and supporters will be gathering to celebrate as only they can. This annual tradition is going to be more awesome than ever in 2015, with live music, tiki bars, delicious food, and the always legendary Bike Week Treasure Hunt. Everyone is guaranteed to have a great time - everyone, that is, except for the unfortunate bikers who are involved in motorcycle accidents. 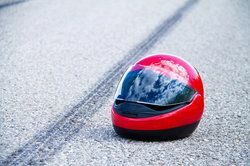 Tragically, each year, a number of people are injured or killed in motorcycle, car, or truck accidents during Daytona Bike Week due to the negligent or deliberately wrongful actions of others. These Daytona Bike Week deaths and injuries mar what is otherwise, beyond any doubt, the greatest motorcycle rally in the world. For those of you who are in Daytona right now for Bike Week, be safe and have a blast. Hopefully you won’t need the services of an experienced personal injury or wrongful death attorney. If you or someone you love is injured in a motorcycle accident at this year’s Bike Week, however - or if you lose a member of your family in such an accident - Joe Horrox can help you obtain the full measure of compensation to which you are entitled under the law. With special expertise in handling motorcycle accident cases and more than 26 years of experience in personal injury law, Joe Horrox has what it takes to win even the most complex cases. The first motorcycle rally to be held in Daytona was the Daytona 200 on January 24, 1937, which took place on a course incorporating stretches of the city’s roads and beaches. Twenty-four years later, the rally was moved to the Daytona International Speedway, where it continues to be the focal point of Daytona Bike Week all these years later. By nature of their design, motorcycles offer less protection to riders than cars, trucks, vans, and other motor vehicles. As a result, even the safest bikers are at greater risk of serious injury and death in the event of an accident. To learn more about Daytona Bike Week accidents and wrongful death litigation, please contact our personal injury law firm today.